Editors Note: This column was co-written by Dr. Jay Lehr. 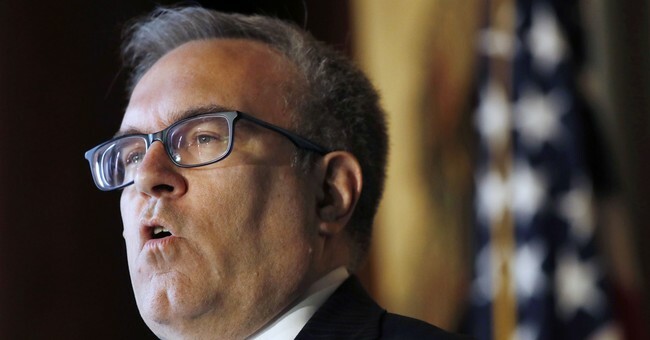 On November 7, Acting Administrator of US Environmental Protection Agency (EPA), Andrew Wheeler announced a new effort to correct a long-standing and misguided requirement to maintain optimal air quality in America.This action will make it easier for facilities that produce air pollution to make beneficial changes without going through a convoluted and ineffectual permitting process. The problem started in 1977 when the senior author of this article served on an advisory panel to the EPA when amendments to The Clean Air Act were passed. The agency instituted a New Source Review (NSR) requirement intended to ensure the maintenance of air quality standards when innovative technology is installed at new plants or existing plants undergo major modifications. In particular, before constructing a new stationary emission source or major modification of an existing source, the source operator must determine whether the project will increase emissions, and, if it does, get a new permit from that state government and or EPA that may require other control technology or measures. While surely well intended, the NSR opened the door to a flood of burdensome regulatory requirements that are, in many cases, redundant and unnecessary. Over 4000 pages of additional requirements were attached to the legislation over the past few decades, rules that no two people would interpret in the same way. The additional NSR regulatory requirements resulted in no improvement in air quality whatsoever. In fact, as a result of the nearly impossible regulatory hoops companies would need to jump through to meet these rules, there has actually been a decline in air quality when factories and power plants were unable to voluntarily improve their equipment. Wheeler summed up the situation well, explaining that NSR “regularly discouraged companies from employing the latest energy-efficient equipment”. Despite the EPA's 2002 Report to the President and Heartland's supportive response, the NSR was not amended until two weeks ago when Wheeler made this month's announcement. The old rules required measurements and tests that often resulted in an increase in annual emissions. The newly proposed requirements will result in a net reduction of emissions. This is due in part to the fact that the new rules grant to the states the authority to require tests that are carried out in a manner that will insure overall improvement. This is an important advance, of course, but the most significant change described by the new EPA approach is that measurement of emissions from new or improved equipment can now be performed in hourly tests that quickly reveal the efficiency of the equipment with respect to working output measured against emissions. Previously, the NSR mandated measurements encompassing a year which totally hid the actual efficiency of new equipment. All in all, it appears to be a victory of common sense. The announced reforms should therefore remove the obstacles to environmentally beneficial projects, clarify requirements, encourage emission reductions, promote pollution prevention, and provide incentives for energy efficiency improvements. It will also provide greater certainty to industry job creators and energy providers and incentivize upgrades that actually improve air quality. That was, after all, the intent of Congress back in 1977. Has the EPA finally recognized that they are not meant to be the enemy of a good people and a strong economy? Will Congress now allow progress where it has been scuttled in the past? The news from the EPA on November 7, the day after our mid-term election, surely gives one hope. But will the results of Election Day yet defeat our hope for progress? It would come as no surprise if a Democratically controlled House of Representatives, filled with a large number of Congressman who oppose any new EPA rules that will facilitate further use of fossil fuels, impede full implementation of Wheeler’s plan. Only time will tell.